We are also Import Sodium Humate on behalf our Customer or other Government bodied, Sodium Humate is sodium salt of humic acid, sodium humate flakes, sodium humate powder, sodium humate crystal , etc. We are providing a quality range ofSodium Humate. 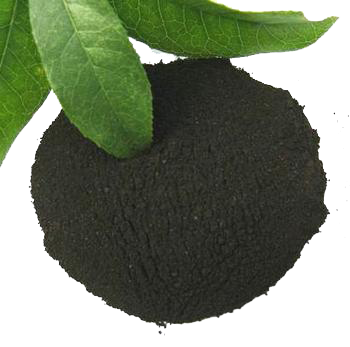 Sodium humate can be used both in animal feeding and industry use in oil drilling and waste water treatment. Product Description: Sodium humate is made of Humic acid with sodium salt, is non-toxic, and odorless brown black powderor grain. It is natural high molecular aromatic polymer with reactive groups (chelation, complexing, ionexchange). Used as soil ameliorator, plant growth regulatorIt can improve soil composition and quality, activate soil nutrients, promote crop growth and development, increase physiological metabolism of plants. Used as feed additives and veterinary ingredients. Regulate hormone levels in stressed plants. Go Green | We Love With Environment. We, Agro Bio Chemicals is A Group DOLLS EXPORT has Earned Huge Accolades as a well Recognized brand in the field of Agro Based Products like Agrochemicals, Biofertilizers, Agro Seeds, and other agro commodities. Copyright 2014 © Ample eBusiness. All rights reserved.